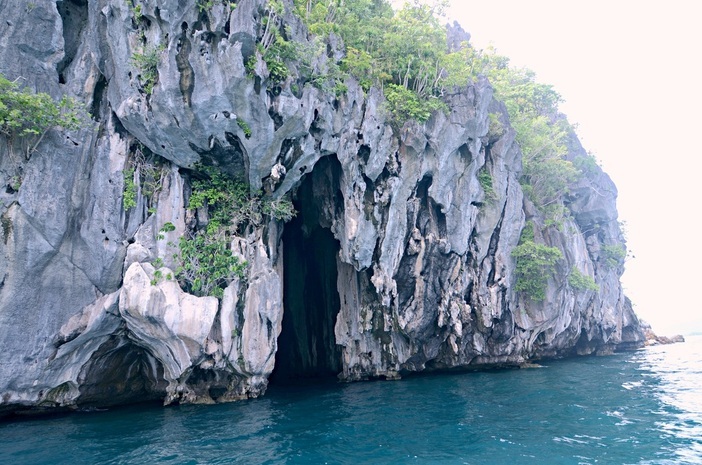 El Nido Tour C – Discover the amazing rock formations and hidden beaches, which provided inspiration to Alex Garland, on writing his novel “The Beach”, whilst the author was living in El Nido. From the towering marble cliffs and enchanting lagoons to its white sandy beaches and lush jungle, El Nido is one of the top tourist destinations in Palawan, which is often referred to as the Philippines’ Last Frontier. 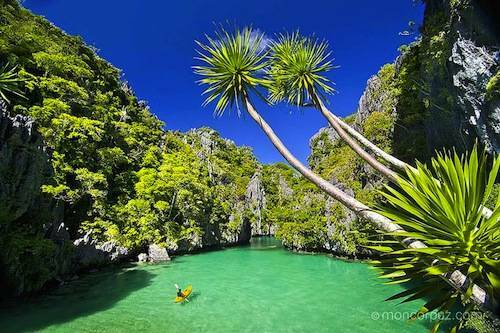 National Geographic Traveler’s magazine, has chosen El Nido as one of the best travel destinations in the world. Recently, The film “Bourne Legacy” was shot and filmed in the islands of Dilumacad and Matinloc. 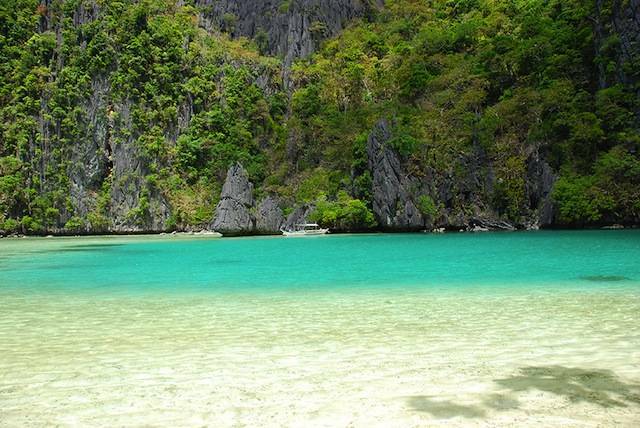 El Nido Tour C : Hidden Beaches Tour is truly a world famous location. Dilumacad and Helicopter Island – This island has a beautiful white sand beach stretching to some 300 meters that is ideal for picnic lunches during island-hopping trips. There is an underwater tunnel at its northern side and a fringing reef on its southern end. The island is also called Helicopter Island because its limestone cliffs resemble that of a helicopter when it is viewed from a considerable distance. 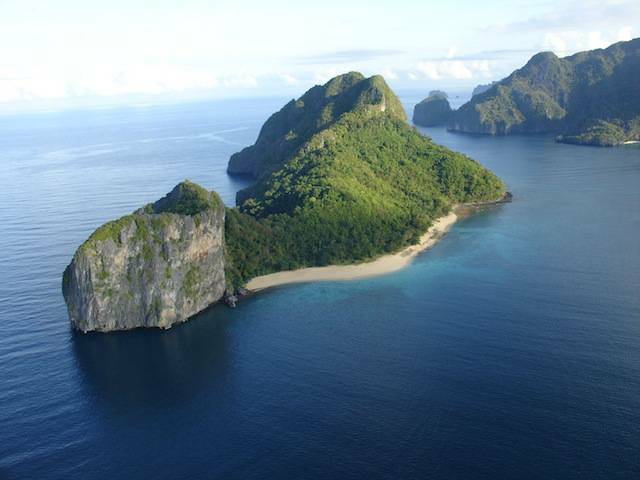 Matinloc Island – Matinloc Island, the longest slim island in El Nido, has a secret beach, which is a pocket of white sand beach at the corner of a sinkhole,that is inaccessible by boat and surrounded by steep rock walls. To reach it, divers must swim underwater through a narrow crevice in a rock wall. At noon, the sun streams in through the opening, allowing a play of light and shadow against its limestone walls. The beach floor drops abruptly. According to local legend, this beach inspired Alex Garland’s novel The Beach, which was written while the author was in El Nido. Aside from the Hidden Beach, the island is also famous for the Kulasa Beach, a 100-meter beach strip of fine white sand located at one of its coves. The sea floor surrounding the beach slopes gradually and the water deepens only after about 10 meters. This location is one of the best snorkeling spots in Bacuit Bay due to the abundance of marine life in this area. 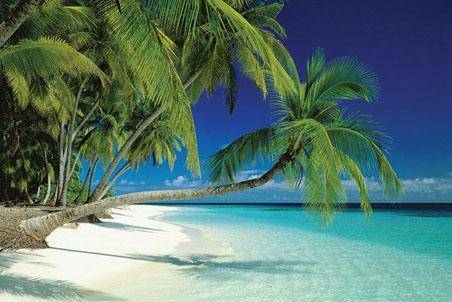 Star Beach – Another fantastic snorkeling spot. Here your guides will prepare a sumptuous lunch by the beach while you discover the wonders and beauty of the coral reefs near this island. Matinloc Shrine – Hidden among the lush forested island is the Matinloc Shrine (also known as Shrine of Our Lady of Matinloc and Shrine of the Blessed Virgin) a sacred monument built in 1982 to honor the blessed virgin mary. Matinloc, local term for “beautiful,” boasts of two spectacular snorkelling areas: Kalmung Point and Kulasa Beach.